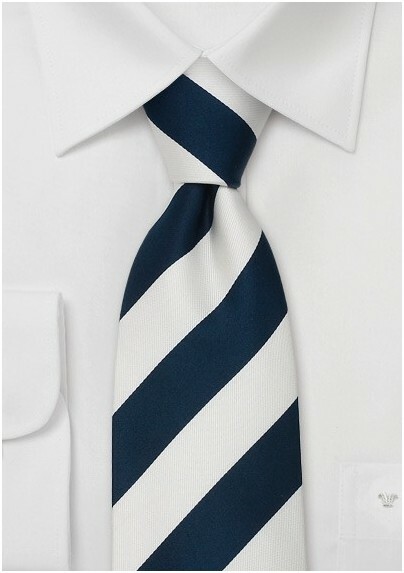 Get aggressive with stripes this summer season and accessorize your way to the height of nautical inspired fashion with this remarkably dapper necktie in classic shades of white and navy. This uber popular necktie mixes and matches with absolutely everything to create a spot on look that is sure to turn heads. 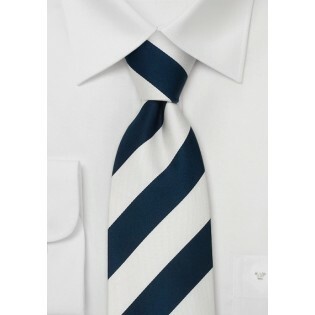 We love to see this tie paired with a lightweight white button down and colorful chinos in bright colors like reds, greens and yellows. Made from pure silk.